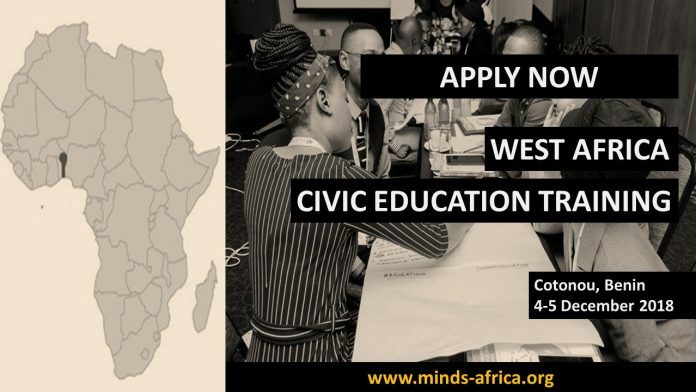 The Mandela Institute for Advancement Research Studies (MINDS) is delighted to reveal that applications for the West Africa Regional Civic Education Workshop in Elections and Governance are now open. The workshop will occur on the Fourth– 5th of December 2018 in Cotonou, Benin. The goal of the workshops is to develop awareness, improve understanding and establish pertinent abilities in electoral and governance procedures and management amongst individuals, in order for them to efficiently interact and use them in affecting and activating other youth to actively take part in the procedures and other neighborhood and nationwide advancement activities. MINDS will cover all travel and workshop costs. Interested people can use Now by finishing and sending the online application.